The crane fell on its side into a property. Five vehicles were sent by the fire service. The owners of a car garage beside the historic Hythe Pier say their business has been totally destroyed by fire. Plumes of thick black smoke could be seen across the Hampshire town this morning as more than 50 firefighters battled the flames. Here's our report from Mary Stanley. The owners of a garage in Hampshire say they have lost everything after a fire swept through their premises in the early hours of this morning. 50 firefighters from across Hampshire and Dorset were deployed to the business in Hythe. The fire was also alarmingly close to the historic Hythe Pier and its railway believed to be the oldest of its kind in the world. Prospect Place in Hythe has reopened following a fire at a commercial building near Hythe Pier. Firefighters were called to the blaze at around 5.30am. Traffic was diverted this morning as the road was shut in both directions. 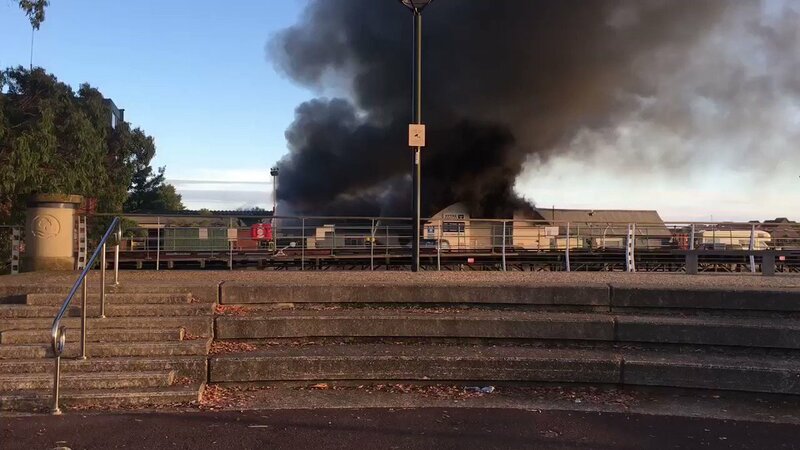 Firefighters are still at the scene of a major blaze at a commercial premises near Hythe Pier in Hampshire. Fire services were called to a commercial building in Prospect Place at around 5.30 this morning. Fire crews are currently damping down. 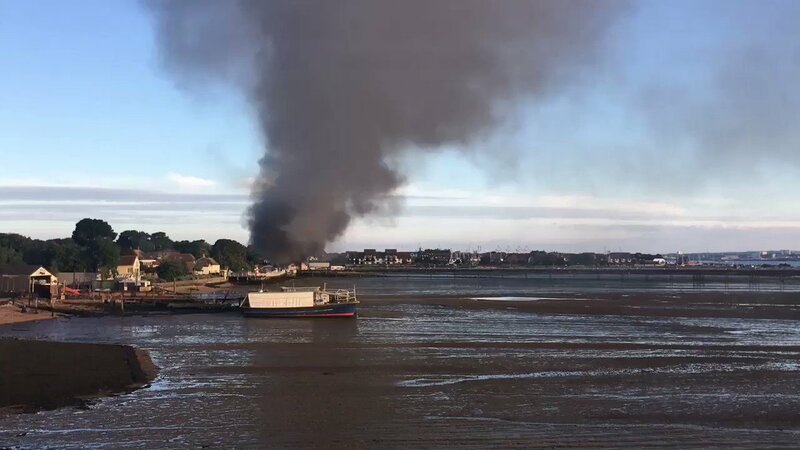 A major fire at a commercial premises near Hythe Pier in Hampshire has left Prospect Place in Hythe closed in both directions. Traffic is slow because of a serious fire between West Street / Jones Lane and Pylewell Road. Police are directing traffic. The building on fire is in Prospect Place. Firefighters are tackling the blaze and so Prospect Place has had to be closed for public safety.